Nyack Holistic Psychotherapy. Holistic Counseling for Self-Empowerment and emotional , psychological and spiritual growth. Holistic psychotherapist offering an integrative, in-depth approach to personal and spiritual growth and healing. A combination of heart centered psychotherapy, inner healing work and life-coaching helps facilitate release of emotional and psychological problems including depression, fear, anxiety, addictive patterns, low self-esteem, and experiences of abuse and trauma - as well as providing guidance for life path issues. 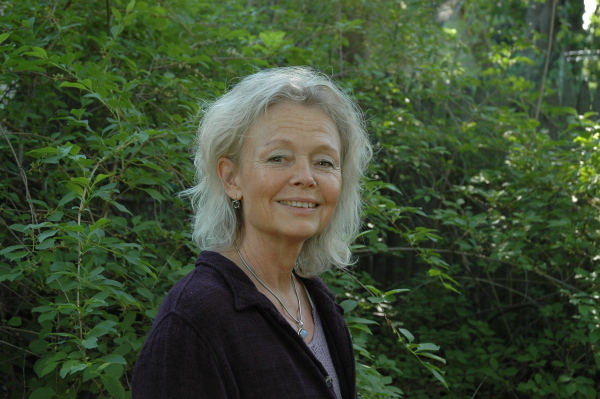 Ingrid Willgren is a New York State licensed Mental Health Counselor and holistic psychotherapist working with individuals in life-transition. She offers 15 years of experience in the fields of Psycho-Spiritual Development, Counseling and Healing. She specializes in issues of psychological and emotional imbalances, and pesonal and spiritual growth.Training includes a BA in the field of Nursing, Stockholm, Sweden and a Masters Degree in Counseling Psychology from Antioch University, OH, in 1994. She received certification as a Psychosynthesis Practitioner from the Psycho-Political Peace Institute, New York in 1992. In her holistic approach she includes principles of psychosynthesis, humanistic and transpersonal psychology, expressive arts and spiritual healing. The work takes place in a healing partnership based on authenticity and present moment awareness in which the individual is guided towards self- inquiry, integration and alignment with the Inner Self - which is Love and Will. Ingrid is certified in One Light Healing Touch Therapy (OHLT) which is a safe, non-invasive intervention aimed to induce changes in the human energy system, affecting physical, emotional and spiritual health and well-being. Groups for healing and educational purposes, as well as Women’s Circles for support and spiritual growth, are offered and ongoing in Westchester and Rockland Counties. We are living in a time of unprecedented change and opportunity. We may experience feeling challenged to go deeper within ourselves to find our own truth, our own unique gifts to offer to ourselves and others, in service and fulfillment of purpose. What better time to be alive and exploring depths inside as we open to the possibility of letting go of past wounds and mindsets- becoming clear what it is that we really want and long for - what is truly calling our attention. “Out beyond ideas of wrongdoing and right-doing there is a field. My schedule is flexible throughout the week. Evenings and mornings are also available as well as Saturday appointments. An integrative and in-depth approach, where healing and empowerment takes place from engaging in a sincere dialogue and inquiry within mind and heart - increasing awareness, compassion and selfknowledge. Individual Counseling ~ Identifying and releasing emotional and psychological patterns and imbalances. ~ Healing wounds of the past and present. ~ learning to reduce and manage fear, stress and anxiety. ~ Increasing skills for intimacy. ~ Expressing creativity and personal power. ~ Clarifying of life-path and purpose. Deepening connection - first with self and then others; becoming more grounded; expressing inner freedom; feeling joy and appreciation of life; increasing intimacy; renewing passion and creativity; opening to love and spirituality - and the daring to revision life . .